The gaming headset market is as saturated as ever, with a whole myriad of companies each trying to sell you dozens of different models. Still, we can’t complain at the moment because the recent offerings have mostly been stellar, and the Sound BlasterX H6 by Creative Labs only underscores this trend. Nevertheless, with so many different midrange headsets vying for a place in your gaming setup, a new model has to be truly exceptional in order to stand out. 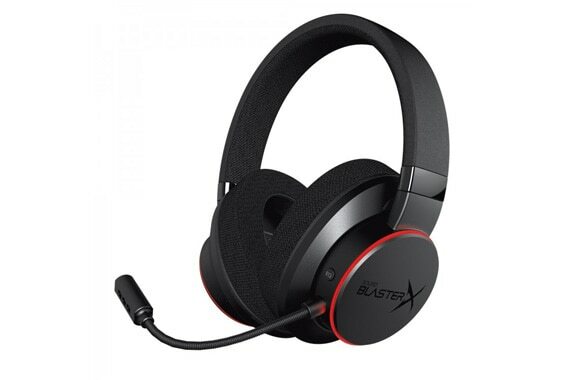 So does the Sound BlasterX H6 stand out? Yes, but not in a way you’re probably expecting it to. It takes no more than a single glance to notice the air of premium quality that the H6 emanates. The mostly black exterior has a distinguished look that manages to give off a gaming vibe without being too aggressive. Instead, the only things that stand out on the H6 visually are the LED light rings that go around each of the earcups. This helps ensure that the H6 can fit into any RGB environment, while still remaining minimalistic enough not to look out of place connected to a gaming rig that doesn’t light up like a Christmas tree. The premium feel is still retained even after you do more than just look at the headset, courtesy of the high-quality plastic and the metal reinforced headband. 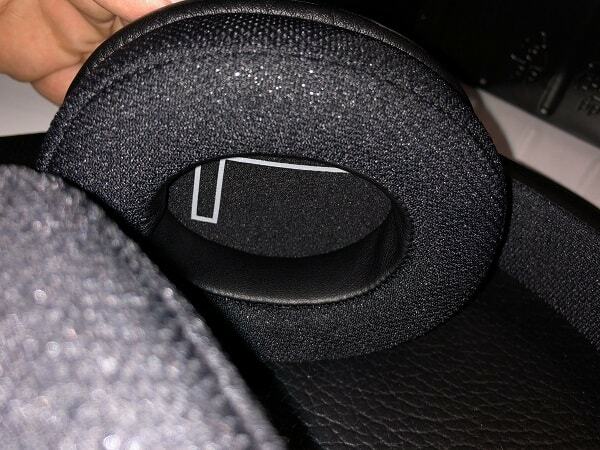 And just zooming into the ear cushions in a picture should give you a good idea of how soft and plush they will feel. The best thing is they’re replaceable, so if they should ever get damaged you just buy new ones without burning a hole in your pocket. You’ll also notice that the ear cushions are covered in a meshed fabric. We, for one, certainly appreciate the benefits the meshed fabric brings to the table, mostly the added breathability, but this same breathability also entails a poorer passive noise-cancellation, so just keep that in mind. Additionally, the H6 connects to your devices via a detachable cable. 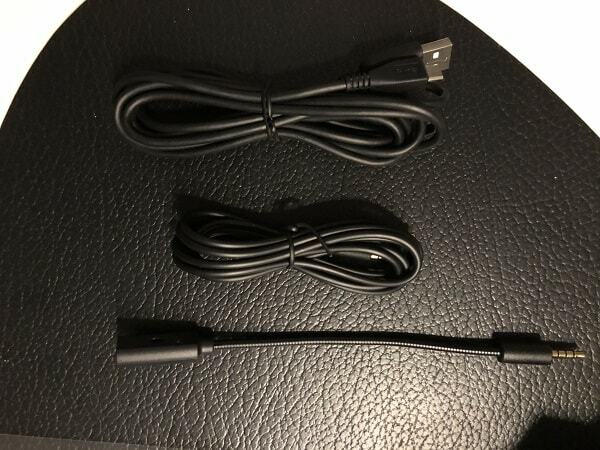 In fact, it comes with two of them, one USB and one standard 3.5mm jack cable. 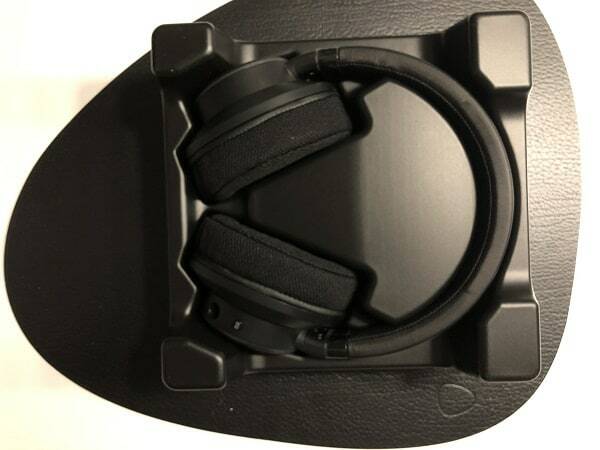 This helps ensure that the headset is compatible with not only the PC and mobile devices, but also with all current-gen consoles – the PS4, the Xbox One, and the Nintendo Switch. The Sound BlasterX H6 also comes with a plethora of cool features, both the ones you’d expect in a gaming headset and some entirely new and innovative ones. For starters, there is the 7.1 Virtual Surround Sound that works pretty well to bring that added level of immersion. Then there’s also the Scout Mode, something that fans of Shooters, in particular, are going to enjoy. Namely, what this feature does is increase the loudness of specific frequencies that give you a tactical edge by letting you hear your opponents before they have a chance to hear you. Still, one of the things that we liked the most was the freedom to tinker with the EQ. Out of the box the H6 comes with 3 EQ presets that you can turn on if you don’t enjoy the ‘flat’ EQ: one is for gaming, one for movies, and one for music. They’re not overly amazing, but they’re still a cool addition for anyone who doesn’t like to mess with the EQ settings manually. However, if you enjoy making a truly personalized sound profile then you can definitely do so with the use of the Sound Blaster Connect software that’s free to download on Creative Labs’ website. This cool piece of software basically hands you free rein over the headset, allowing you to control everything from the EQ and the LED lighting to the audio processing effects and even more. Fair warning though: all of these features are accessible only when using the USB connection, just like all the controls on the left ear cup are only functional in this case as well. The implication here is that you’ll have a much more bare-bones experience when using the H6 with the Xbox One or the Nintendo Switch. This goes for other features as well, like the ClearComms technology that works with the microphone and the Ambient Monitoring. Now we’ll mention ClearComms when we get to the microphone stuff, but the Ambient Monitoring we’ll explain right away, as this is the cool and innovative new feature that we mentioned. What it does is essentially act as microphone monitoring, but for the ambient sound. Basically, there’s a small microphone implanted into one of the earcups that, when turned on, will feed the audio it picks up into whatever you’re already listening to. So say you’re supposed to keep alert for a phone call, a doorbell, or anything else really, but you still want to game while you wait – well, now you can. Just turn the Ambient Monitoring on and it’ll be like you’re both wearing and not wearing a headset at the same time. You’ll suffer through a bit of white noise, sure, but we like the potential here. It’s definitely not something that you should buy the H6 solely for, as it has little application in this particular headset, mostly due to the fact that the passive noise-cancellation on this thing is quite subpar as it is. Still, it’s definitely a cool feature that streamers and kid gamers whose parents don’t understand that some games can’t be paused can utilise the most. As for us, we’re much more excited to see where it goes next. Let’s just start off this segment by saying that the H6 is one of the most comfortable headsets we’ve seen. The meshed fabric feels a bit more tactile on your ears, for lack of a better work, which some people may not appreciate, but overall this headset has a lot going for it in terms of comfort. In addition to the thick memory foam padding that adjusts to the contours of your ear for maximum comfort, there’s also a clamping force that hits the spot just right in terms of tightness. 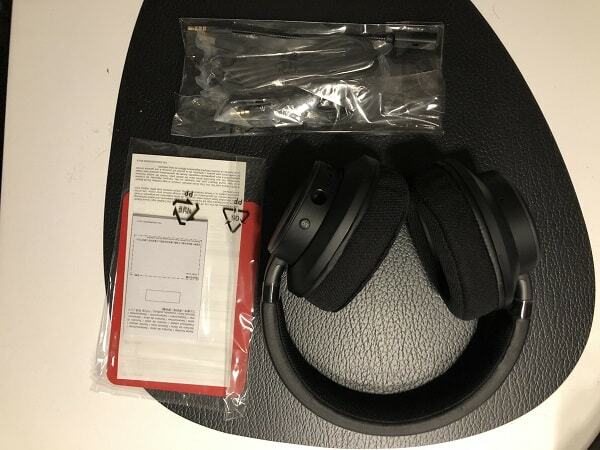 The end result is a headset comfortable enough to wear for hours upon hours on end without ever having to suffer through any ear pain or sweating. Still, the thing we like the most about this headset is how the memory foam padding lets your ear shape it like a stream lets a rock shape the flow of water instead of pushing it away with all the force at its disposal. In practical terms, what this means is that the H6 will not be uncomfortable to wear even if you wear glasses. The only thing that can come across as negative is the relatively thin meshed fabric padding on the headband, but even then it never feels like it’s pressing into your skull. In gaming terms, the headband is competent enough not to throw the game away while enjoying the company of teammates (ear cups, lightweight design, and clamping force) that can easily carry the team to victory on their own. Now a good microphone is arguably even more important in team-based video games than sound quality. The folk at Creative Labs must have kept this in mind at all times when making the microphone for the H6, as they didn’t pull any punches here. What you’ll be getting with the H6 is a detachable unidirectional condenser microphone that sounds superb given the price of this headset. It’s not the best sounding microphone as it does lack a pop filter and takes away some of the richness in your voice, but for the purposes of team chat it’s more than you’ll ever need unless you’re a full-blown professional, in which case you’ll want a more expensive headset anyway. 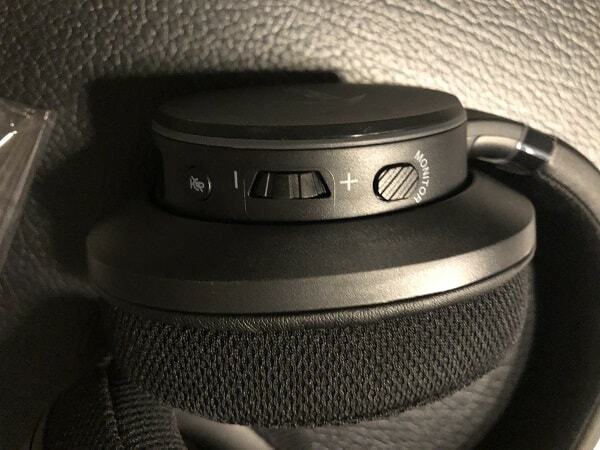 Additionally, if you’re using the USB connection you’ll be able to adjust the degree to which the noise-cancellation will function through the software, as well as some other cool stuff that the ClearComms technology provides, like mic monitoring. All in all, the microphone on the H6 is average at worst, but if you use the USB connection and tinker with the setting a little bit you can make it out to be truly awesome for the price range. And now for the real deal – the sound! 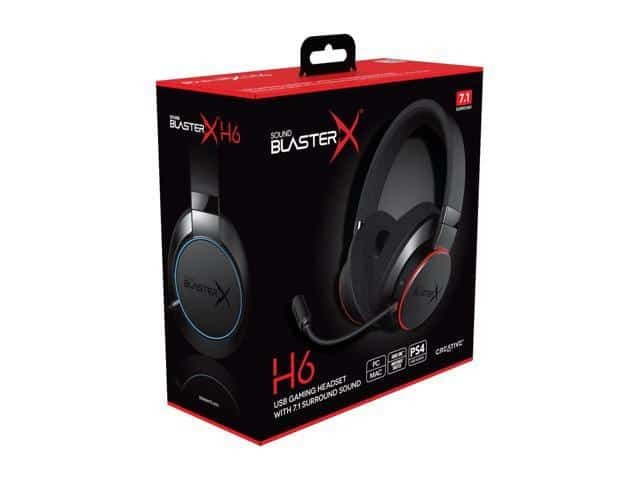 How does the Sound BlasterX H6 compare to the many-many great headsets that keep it company in this price range? Well, it does this really cool thing where it doesn’t try to do the same thing that everyone else is doing, but instead gives you an alternate approach. Unlike so many gaming headsets that offer a sound so minutely tuned to bring the best out of a gaming experience they sound average at best for everything else, the H6 offers a more rounded listening experience. Yes, it sounds good for gaming, but not at the expense of sounding poor for other multimedia purposes. So if you’re looking to buy a quality headset that will hold its own even outside of games, then the H6 is the prime solution. The freedom to customize the EQ to your liking definitely helps, as do the three premade EQ options, but it also helps that the H6 isn’t a bass-driven headset. This isn’t to say that the bass is bad – it can definitely hold its own and the 50mm neodymium drivers give it plenty of punch – but the treble is definitely in the driver’s seat (excuse the pun) this time around. 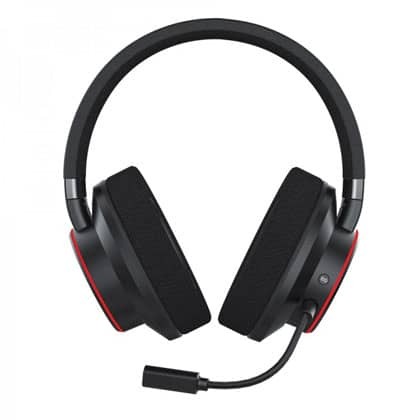 Overall, the headset sounds pleasantly warm, with enough power and versatility to do most gaming and music genres justice. The only downside is that the mids, and particularly the vocals, lack a bit of richness. 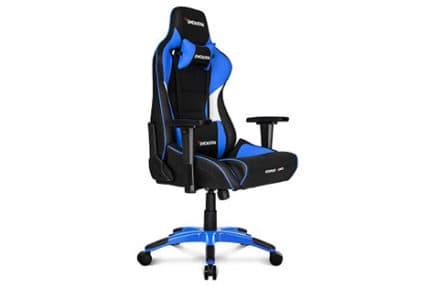 It’s not too bad and it shouldn’t ever be jarring to the extent that it breaks the immersion – be if when watching movies, listening to music or playing games – but it is something that’s worth noting. Other than that, it’s one of the most versatile headsets around that you can customize to sound however you like. All in all, the Sound BlasterX H6 is an amazing headset that already ranks among the best of them in its price range, and with how stacked the competition is that’s really saying something. It’s got incredible versatility, both thanks to all the customization and personalization that you have access to and the wide selection of devices that you can connect it to. Just remember that you’ll need to use the USB cable if you want to get the most out of the H6, so it’s not our first recommendation if you need a headset specifically for gaming on the Xbox One or the Nintendo Switch. 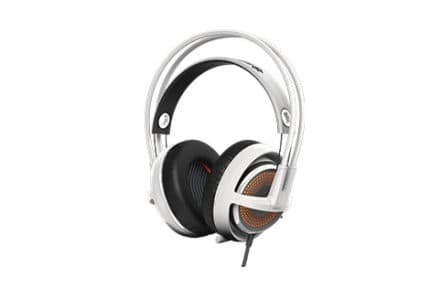 In fact, if you need a headset that places gaming as its top and only priority, then we highly suggest adding an extra $20 or so to your budget and treating yourself to the Turtle Beach Elite Atlas. Nevertheless, if you need a headset that you plan to use for more than just gaming, the H6 easily eclipses the Elite Atlas in the value it presents. The Sound BlasterX H6 is easily one of the most cost-effective headsets to come out recently, with a cool-looking design, outstanding comfort, and a whole bunch of features. Its sound wasn't made to cater specifically to gaming, but this is actually one of the H6's biggest strengths, as it’s easily the most appealing headset for everyone who intends to get the most out of their headsets outside of games.